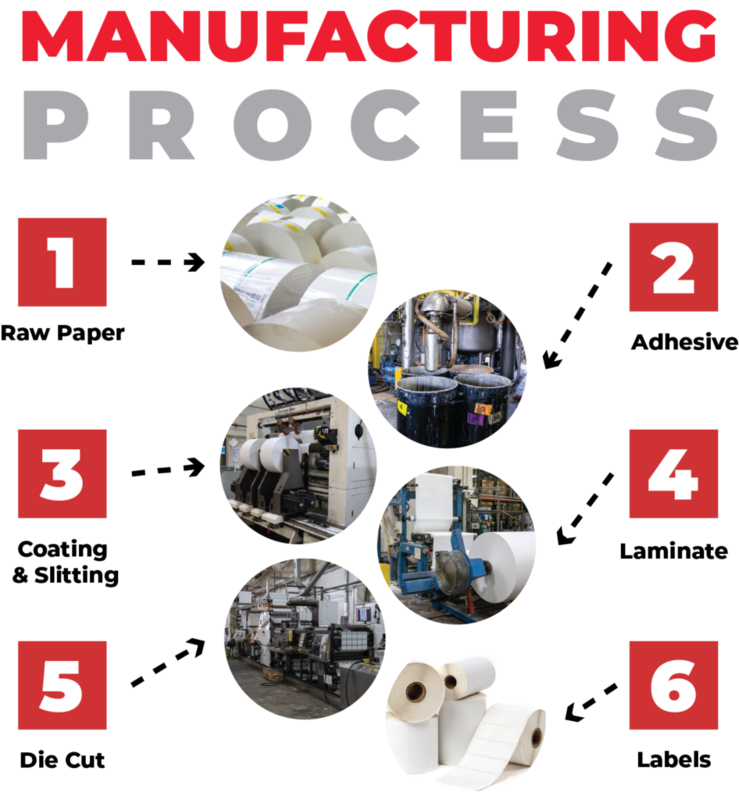 Kroy Labels starts off our manufacturing process by sourcing around the globe for the best materials to use in our production. We store over 3,000 rolls of quality facestocks and liner. We coat our liner with the finest silicone and begin the coating process without homemade and high-quality adhesive. A facestock is then applied and the label is ready for slitting. The labels are slit to the correct size and put on presses to produce the finished die cut product in roll or fanfold format. We make and stock over 120+ items and offer same day shipping for an order placed after 3 pm. Throughout the process, our products go through rigorous quality control tests to ensure that we are providing our customers with the best labels possible. Our quality control reports are done daily by trained professionals. The reports show results for every coding line that is checked every sixty thousand feet. Because everything is made in-house, Kroy Labels cuts out the cost of the supply chain and pass those savings onto you! We offer the highest quality products at the lowest price.